Day four of this trip found us in blizzard conditions. 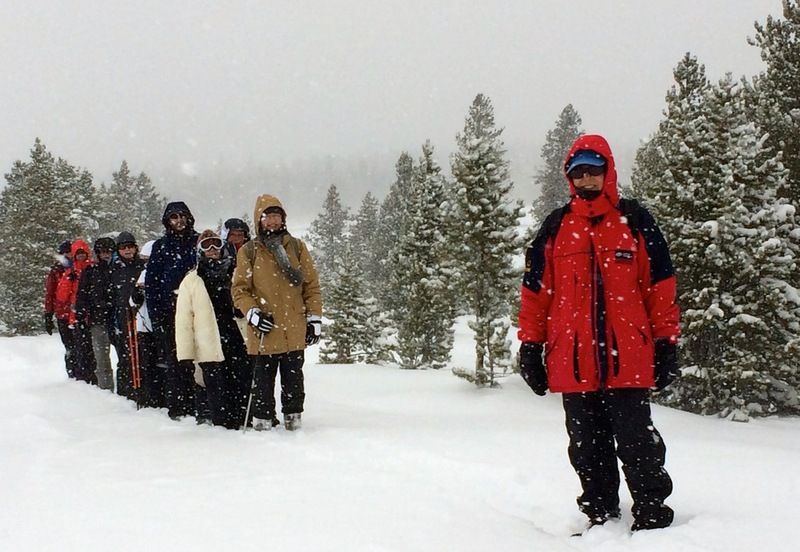 Heavy snow and wind gusts approaching 40 mph closed many roads in Yellowstone and kept the less intrepid from venturing out of the Snowlodge. Not my group of adventurers! WE bundled up and sallied forth into the maelstrom, the spirits of Shackleton and Scott at our backs. Okay, so we had a warm hotel dispensing hot buttered rums and irish coffees upon our return but still ... we were more adventurous than most. See the resemblance to Shackleton's band of Antarctic adventures? Okay, I admit we weren't pulling boats across the ice and we ate bison at the restaurant instead of sled dog cooked over an oil burner but we are a product of our time and we did go outside in challenging weather and had a great experience. 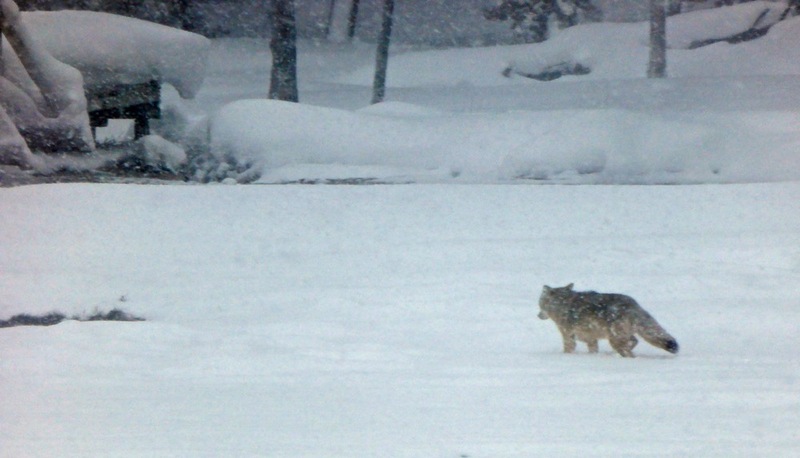 This coyote was one to the few living things we saw in an area known for it's crowds. We didn't see it for long as the coyote crawled under the boardwalk to escape the storm and didn't come out again as far as we could tell. Flat light on days like this, while not the best for grand landscape photography, is excellent for colorful detail shots like the edge of this warm spring. The green algae and red/brown grass really 'pop' in grey light. Hanging in front of Castle Geyser. Dressing properly is the key to enjoying days like these.